You know that game where one person starts a story and the next person continues it, and then the person after that picks up where they left off, and on and on until everyone has contributed to the story? The end result is nearly always a fantastical and ridiculous tale filled with a plethora of cliffhangers, neatly resolved conflicts and absurd characters. They are not stories destined to win any great literary awards; rather, they are stories told for the sheer enjoyment of it. That, my friend, is The Exquisite Corpse Adventure. Oh, Nancy. You have no idea. The story is confusing. And ludicrous and nonsensical. But it is also a great deal of fun, and that in itself is a valuable thing. The Exquisite Corpse was created by a troupe of authors and illustrators for the absolute joy of it, and that is as worthy a reason to create – and read – as any other. Did you write a review? Let me know and I’ll make a list! *Or, more accurately, by M. T. Anderson, Natalie Babbitt, Calef Brown, Susan Cooper, Kate DiCamillo, Timothy Basil Ering, Jack Gantos, Nikki Grimes, Shannon Hale, Steven Kellogg, Gregory Maguire, Megan McDonald, Patricia McKissack, Fredrick McKissack, Linda Sue Park, Katherine Paterson, James Ransome, Jon Scieszka, Lemony Snicket, and Chris Van Dusen. **Initially published over the course of a year (2009-2010) on the Library of Congress’s website, READ.gov. I don’t usually review books I feel so-so about, but I need one more book for the What’s in a Name? challenge, so here I go . 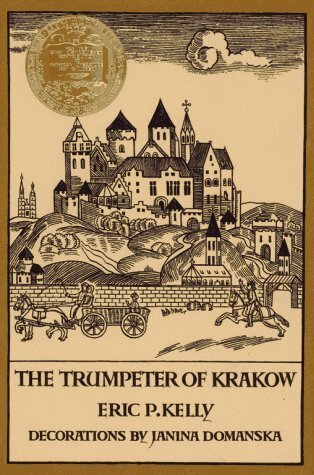 . .
Three things jumped out at me as I read The Trumpeter of Krakow: 1) I enjoyed it significantly more than most of the Newbery winners from the ‘20s (which isn’t saying much, I’m afraid); 2) it reads like a love letter to Poland; and 3) you could tell if a character was good or bad by merely looking at them. In regards to #1: In spite of this, it took me a long time to read this book. 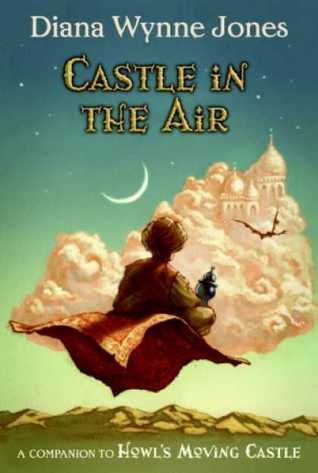 Even though I’m still behind in my group’s Newbery reads, and could have put it off a little longer, I absolutely did not want to leave this for 2011. I want the ‘20s behind me. #2: The author very clearly loved Poland. This was great and all, but the lavish descriptions bogged down the book a little. I also found myself longing for a more objective narrator, one who could tell me, straight up, about life in fifteenth century Poland. The book felt like an excuse to wax poetic about Poland. This probably wouldn’t have bugged me as much if I had really loved the story. #3: I know this is fairly common in fairy tales and Disney movies, but I got very tired of the main character taking one look at someone and just knowing that they were a Very Good Person or a Very Bad Person. Really, dude? You’re trusting this complete stranger with your family secrets just because he looks like a fine, upstanding man? You know who else looks trustworthy and kind? Polar bears. And they wouldn’t think twice about eating you. Hurray, I’m done with the 1920s! On to the ‘30s. 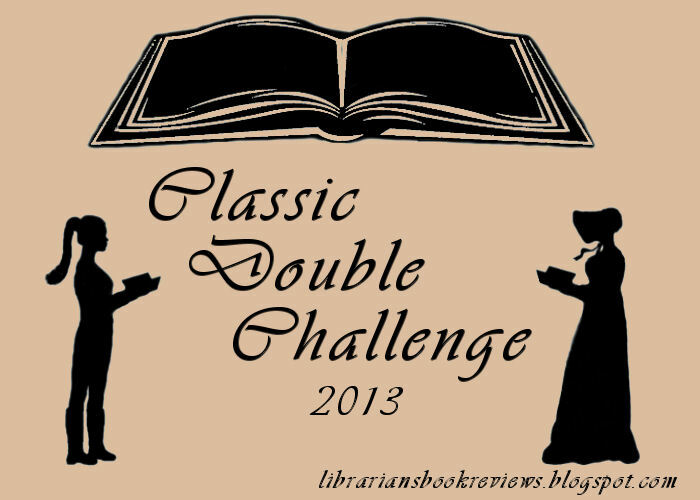 When I first decided to join the RIP V challenge, I received a plethora of book suggestions from other bloggers. 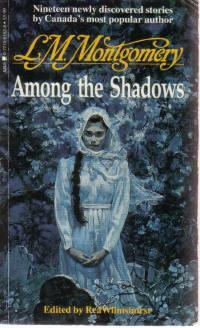 The suggestion that caught my eye was Among the Shadows by L. M. Montgomery, largely because I never thought I would ever see “spooky” and “L. M. Montgomery” in the same sentence. Spooky? L. M. Montgomery? Really? I couldn’t resist. As I read Montgomery’s tales, I noticed that the reader is often kept at a safe distance from the events in these mysterious and spooky stories. 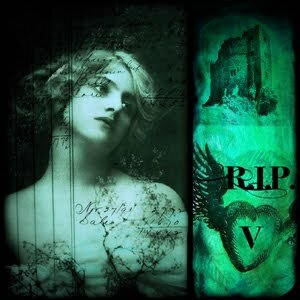 The twelve stories are told either in the third person, by one character to another, or by a first person narrator who, for the most part, exists on the sidelines of the story. (See my list below.) For example, while the first person narrator is present when the ghost shows up in “The House Party at Smoky Island,” he really just happens to be at the right place (or maybe the wrong place!) at the right time; the main story doesn’t really involve him at all. Of all the first-person narrators in this collection, however, he was the most involved in the story, and I think that involvement is one of the reasons this story spooked me the most. The more distance you put between the teller and the listener of a ghost story, the less real, and therefore less spooky, it feels. With several of these stories there was just too much distance between me and the supernatural activity for me to get significantly creeped out. The funny thing is, this point actually comes up in one of the stories. In “Davenport’s Story,” (published in 1902), the story opens up with the characters telling each other ghost stories, which are criticized by one of the characters: “He said our stories were all second-hand stuff. There wasn’t a man in the crowd who had ever seen or heard a ghost; all our so-called authentic stories had been told us by persons who had the story from other persons who saw the ghosts” (15-16). This collection is full of “second-hand stuff,” which makes me wonder if Montgomery’s decision to give it to us “second-hand” was intentional or unintentional. Was she trying to make her stories less credible or realistic? (And what’s up with the ending of “Some Fools and a Saint”?) Hmmm. Overall, it was an interesting read, and one I recommend to Montgomery fans and anyone else curious to see her “darker” side! For the nerds in the crowd, here’s a breakdown of the twelve spooky stories by category (ghost, whodunit, etc) and how they were narrated. I’m deliberately not including the titles of the stories because I don’t want to give away more than I already have! Of the twelve stories containing some mysterious element, there are . . .
My initial reaction to The Name of This Book is Secret was one of annoyed displeasure. The book reminded me of A Series of Unfortunate Events, which was, well, unfortunate. Much like Lemony Snicket, Pseudonymous Bosch is a mysterious narrator reluctantly chronicling the tale of a couple of children caught up in a mysterious and dangerous adventure, an adventure he himself is personally involved in (although he would have the reader believe otherwise). And like A Series of Unfortunate Events, the book is littered with commentary from the narrator. This irritated me to no end. I felt like The Name of This Book is Secret and Pseudonymous Bosch were trying too hard to be like A Series of Unfortunate Events and Lemony Snicket (and falling way, way short). I was about a third of the way into the book before I stopped comparing the two, and about halfway through the book before I actually started appreciating it for itself. At first the narrator struck me as overly intrusive (the main reason I spent the first third of the book irritated), but eventually I found him kind of endearing. I’m not really sure why. He’s kind of awkward and frequently hilarious without meaning to be. His side comments still provoke a lot of eye rolling, but in a good way (mostly). The book’s plot isn’t the most original one on the planet, but the author has thrown in enough twists and quirks to make it interesting. He’s assembled a fairly unique cast of characters, too. 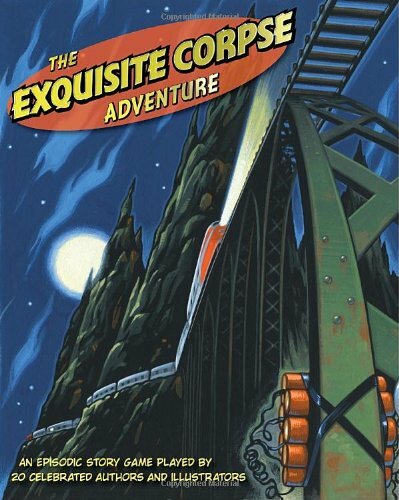 The book has two main characters, and while the story gives Cass a little more time in the spotlight than Max-Ernest, it avoids the hero-sidekick formula. All the minor characters are fleshed out, too, so as they move in and out of the book they actually feel like part of the story, not just props to move the plot along. If you’re looking for a fun, entertaining summer read, definitely check out The Name of This Book is Secret. I’ve actually gone on and read If You’re Reading This, It’s Too Late and This Book is Not Good For You (which ended with a total cliffhanger – argh!). I am now impatiently awaiting the next one. It’s a good thing I have lots of unread books around to distract me from my impatience! So I may be slightly, kind of obsessed with the Dear Dumb Diary series by Jim Benton. I may have been known, in the past, to completely lose the ability to breathe, speak and/or stand due to complete, hysterical laughter while reading or quoting one of these books. Possibly. 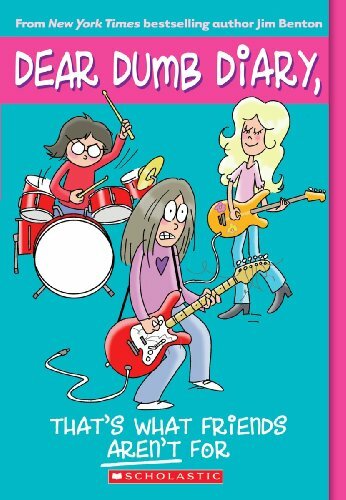 Anyway, our Scholastic book order arrived in the mail yesterday, containing within its lovely white and red box the latest Dear Dumb Diary book, That’s What Friends Aren’t For. So I broke the cardinal nap rule and instead of being all productive and stuff while my students slept, I read. Which was a really bad idea. Because I nearly choked trying to hold the gales of laughter in. I’m going to hold back here and only share two quotes with you, but you have to PROMISE me that you’ll go read the rest yourself. And by rest I mean the entire series. Or at least my favorite two, #5 and #7. The rest of today went pretty much like all Tuesdays go: The thrill of the weekend is behind you, but the crushing resentment of Wednesday has not begun. As you know, Dear Dumb Diary, I love to draw, and one of my artworks has won an award at the Art Show every year since I first entered way back in second grade. For some reason, back then I was obsessed with drawing naked Barbies. The teachers didn’t feel that those were appropriate for a kids’ art show, so they used the only artwork I did all year without a naked Barbie in it, which was this picture of a cow in front of a barn. It really wasn’t a very good drawing, but I thought it was cool because I made it out of cut-up construction paper and the doors of the barn could open. HAHAHAHAHA!!! I really, really should not have read this while my students slept.